Unity through Teamwork with our partners, supporters, and every member of the Warrior Food Project community. Passion - for Warrior Food Projects mission and the people it supports. 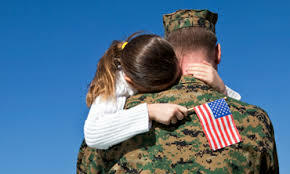 Through demonstration of these core values, Warrior Food Projectwill become the leader in addressing and solving the problem of veteran hunger in the USA. Warrior Food Project is a 501(c)(3) non-profit organization. EIN 47-1199675. Copyright 2014 Warrior Food Project. All Rights Reserved.